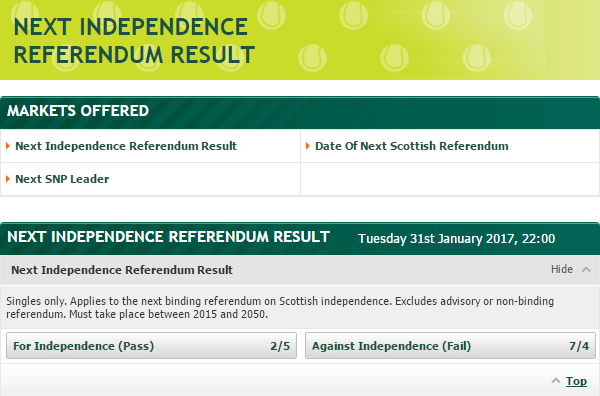 Though the question on the betting paper would be just Yes or No as far as the ensuring Scottish Independence Reference is concerned, things are not going to be as simple as that. As far as bookies are concerned, they are certainly not just narrowing down to these two options alone but are looking at the markets from a much wider and bigger perspective. Their main objective is to find out ways and means by which they can help punters to make some smart money, irrespective of the side in which they are in. It is all about trying to fish in which are not placed, to say the least. Hence, for gamers and punters, there is no doubt, that days ahead are going to be quite exciting. Though Yes or No could have big political implications at the end of the day, it is all about making some commercial capital out of a political event. Hence, it would not be a bad idea to find out where it is all headed and how the betting and punting business could get something positive out of it. It would be pertinent mention here that the outcome of the Scottish Referendum could be much closer that what is being anticipated. If one goes by history, the margins always have been quite tight which event the politicians might find difficult to predict. A few days ahead the separatists were ahead 51 to 49%, but the margin is too thin and could change dramatically over the next few days. However, as of now, the pendulum seems to swing in favor of those who wish to move towards independence. It is perhaps for the first time that independence looks like a possible than probable. But these are still early days, and it would be naïve to predict reasonably accurately regarding the outcome of the matches. One is not very clear whether the last-minute cries of Ed Miliband and David Cameron would have the desired impact on the voters. There is nothing much one can do but to wait and watch. What Do Bookies Have to Say? On the other hand, it would be pertinent to mention that bookies have a different take on this. They still believe that the Scots in the final round, when push comes to shove may opt to stay within the Union. This is proved by the fact that Ladbrokes Sports is ready to offer only 11 to 50 for a “no” vote and 3 to 1 for Scotland going it alone. However, for players who would like to take an independent decision these predictions and analysis could prove a useful tool when it comes to betting on this subject matter. When things are supposed to go to the wire betting on yes would be a sensible thing to do, going by the offerings which are coming in from various betting services providers. How to Navigate Through Such Uncertainties? When the markets are becoming too uncertain and too close to take the reasonably accurate call, what does one do? The next best option is to look for various other options, and this is here statistic, and other such pieces of information could come in very handy. Those players who have a reasonably fair knowledge of the local population could certainly make some big money by opting for a reasonably accurate prediction by choosing the areas where the highest concentration of “yes” vote is supposed to be. Amongst many such areas, Dundee is the place to be on the lookout for. There are also others who are also willing to bet on the state of the official Scottish currency if and when the independence from the Union becomes a reality. They also believe that the outcome will also depend on the turnout and there are quite a few who are not very averse to betting on the likely turnout percentages. Hence, it certainly is going to be a multifaceted battle, and it has quite a few things up the sleeve, to say the least. 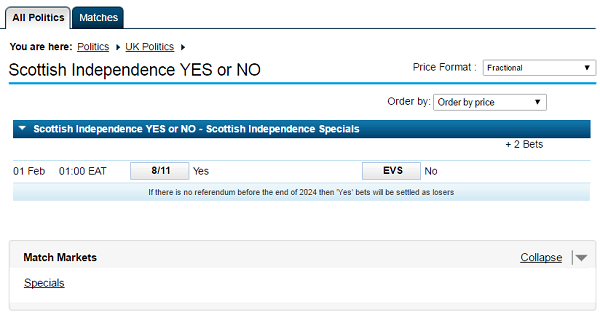 There are some bookies that are ready to offer 6/1 for a turnout of less than 80% coupled with a “yes” win. Hence, this referendum will certainly see a record referendum given the fact that it will decide on the future of their generations and many generations to come. It will be a deciding moment as far as the future of Scotland is concerned. There are some indications to prove that the turnout will be phenomenal. Per some reports almost 97% of the eligible voters have signed up and around 85% of the voters were fully committed and certain that they will be taking part in this referendum process because of the high stake involved. 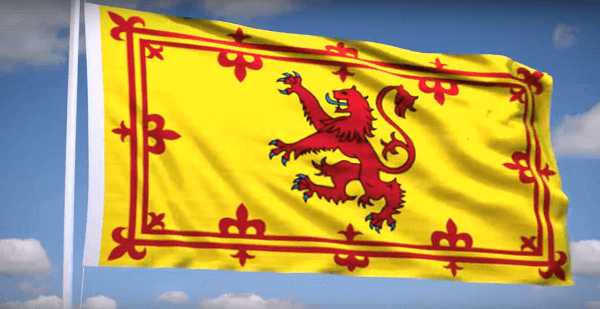 With the shock decision of Britain to move out of EU, a yes vote from Scotland will also be a point to ponder, and many punters are ready to take this factor into account. They would like to know how it would impact Scotland politically and economically. There are many who believe that the tsunami generated by Britain’s decision to exit EU will be much less when compared to Scotland’s decision to go in for independence. This is because of various obvious economic and other reasons. There are some economic factors to consider. Scotland has a deficit which is twice the size of the entire United Kingdom total deficit. Addressing this by staying away from the UK is easier said than done and punters are edgy about taking a decision on this subject matter. They are not willing to stick their neck out as far as the political and economic consequences are concerned. It is too close a call to make, and the uncertainties post such “yes” decision is almost impossible to predict and comprehend. Hence, while politicians and economists are watching with bated breath the outcome of this referendum, punters, and others are also working overtime to get their predictions right so that some good money can be made from it.